Our insistence to remember the value of heritage and the built environment has impelled us to continue to question the reconstruction of the downtown area in Beirut. Recently images of the partial destruction of the grand theater in Beirut created a mass of rumors that resulted in nothing else but that. 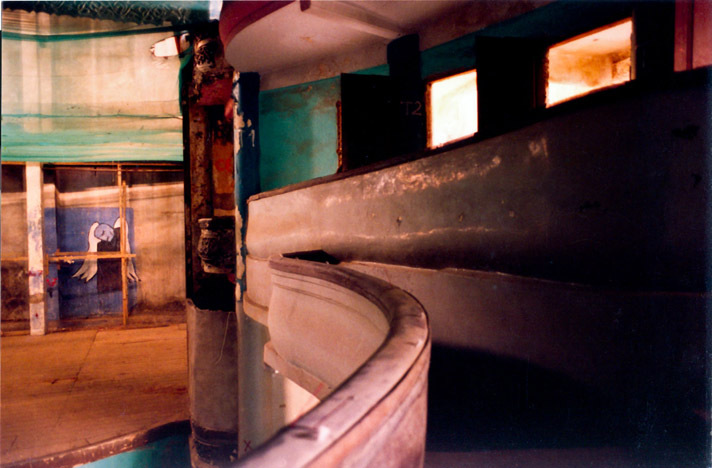 The recent demolition of a section of the Grand Theater complex was perceived by many as a prelude to the demolition of the entire building. Why and to whom is it significant ? What and how do the tensions of global historic preservation agendas fostered by international donors affect the embeddedness of monuments in local historical and social contexts? How much do public initiatives play a role in urban heritage and preservation? How much of the recreation of the past in the present is a political act that we should avoid by integrating heritage preservation in the present and the future instead? 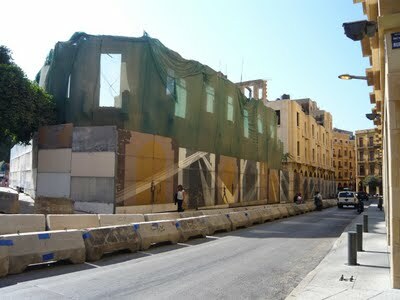 Do we preserve a building spatial production and program or its facade as a poster? Do we preserve an urban quarter or just a building? Most importantly what are the implications of such decisions on local and national economies? We can start by discussing those questions so please feel free to comment and start the debate below. 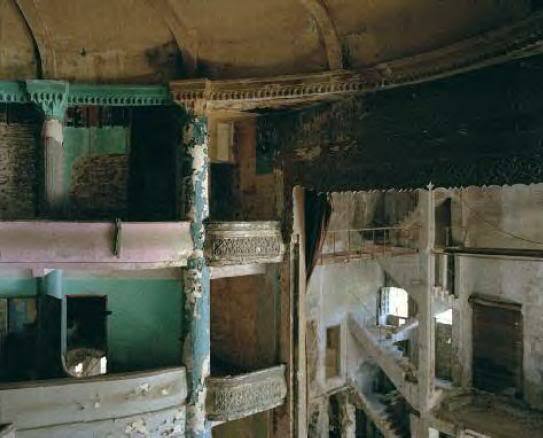 In the case of the Grand Theater I have decided to start an investigation and publish both plans, sections, photos and parts of a movie that tackle the grand theater in Beirut. 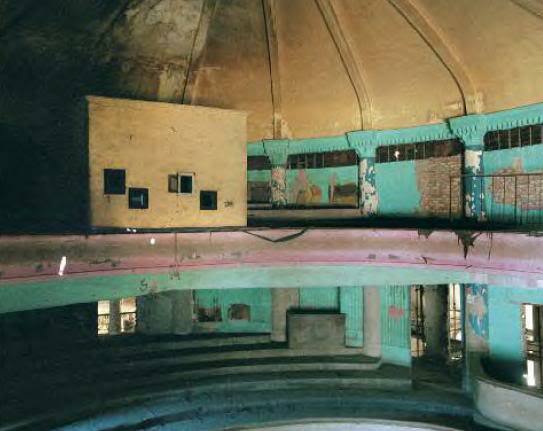 Please find these below so that we can start discussing what and why and if the grand theater is valuable to us and understand how and what the grand Theater was and can be. We can start by watching the 'Grand Theater: A Tale of Beirut' which is a 30 minute documentary film produced and directed by Omar Naim. The documentary actually has a very strong view about heritage and the importance of such structures as it examines the Lebanese civil war through the microcosm of the Grand Theater, a historic structure which found itself on the green line between East and West Beirut. It features interviews with various witnesses. 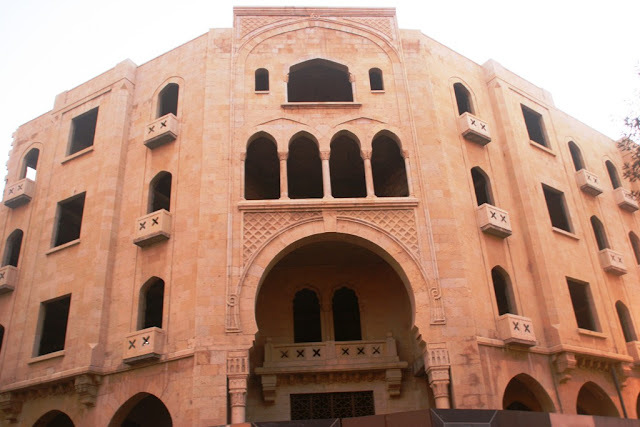 Grand Theater is a building of historical significance to the city of Beirut. Built in the 1930's, it consisted of a hotel, shops and apartments in addition to the theater itself. The auditorium was a venue for performances of all kinds. The ground floor plans below, a result of a survey conducted post war, shows the two main entrances. One was to the theater and the other smaller lobby took you to the hotel/apartments. An arcade with shops also outline the street level of the building. It is clear that the building mixed public and more accessible programs successfully by providing multiple entrances. The first floor shows the private and public programs separated yet both functioning. Below the surveyed plans show the second, third and fourth floor. Those floors only include the flyover the stage and the private hotel and apartment spaces. 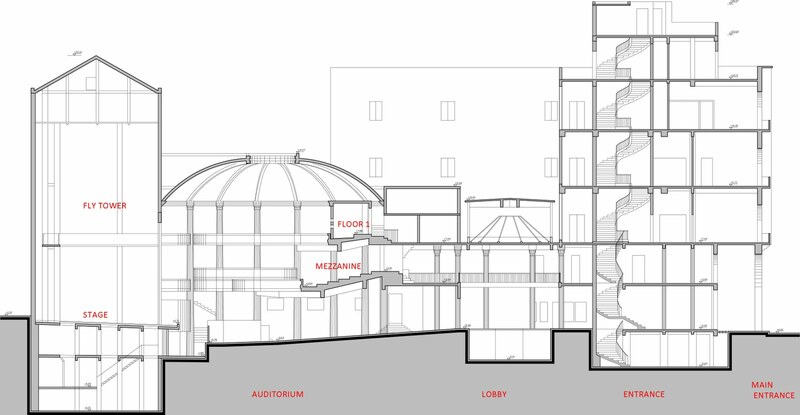 The ability for the centerpiece of the scheme - the original auditorium - to be employed for public use, while remaining integral to the hotel proposal should therefor be maintained in the future development of the Grand Theater building . This will ensure that the cultural significance of the building is not lost. It is clear that the theater is small but not all theaters need to be large. 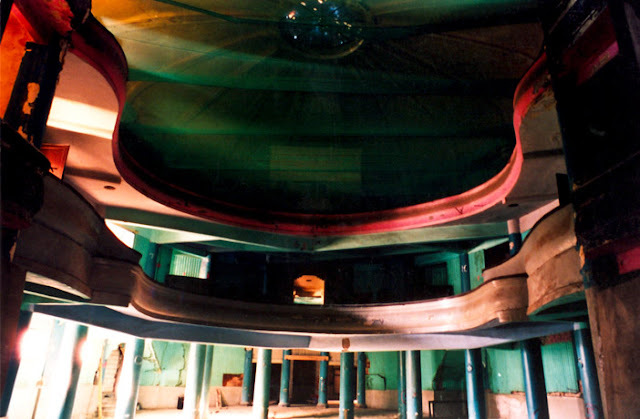 There is no reason why this theater cannot continue to function if restored. Its acoustics which were historically notable might not be up to contemporary acoustic standards. Yet theaters built in the 1930s continue to exist and function around the world. Therefore acoustical solutions to upgrade the space are possible if required. Until today, the economic value of urban cultural heritage is the predominant force in Beirut's preservation and reconstruction process. The socio-political and 'public' fabric of the city by contrast is undermined. This commercialized and globalized identity subordinates any other quality left in the urban fabric of Beirut and more specifically downtown. The Grand Theater building which is a mixed use building that includes apartments, hotel rooms, shops and the theater itself is an outstanding example of the cultural production of Beirut in the 1930s which should be preserved as such. I am not against adding a floor to the hotel space, enlarging shops, improving acoustics.... but I am against the theater space existing as a space within the hotel lobby. If such spatial relations, as access, are altered we would have destroyed the socio-political identity of this specific building. This buildings multiple program, user groups, income groups, and spatial moments, should not become a tourist attraction or a consumerist product but a source of inspiration for generations to interact in. What do you think? What of the building should be preserved? "Teatro Al Kabir" as was known prior to 1975,ended by the beginning of the Lebanese war during that year, as a cinema for cheap movies. It was always remembered by the old people of that time as "THE THEATRE" WHICH BROUGHT CULTURE, EXCITMENT,IDEAS AND A VIVID PICTURE OF THE "OUTER WORLD". MANY PROMISES WHERE GIVEN AT THE TURN OF THIS CENTURY, TO KEEP THIS "MONUMENT" TO THE FUTURE GENERATIONS, AND TO REVIVE IT AS A THEATRE. 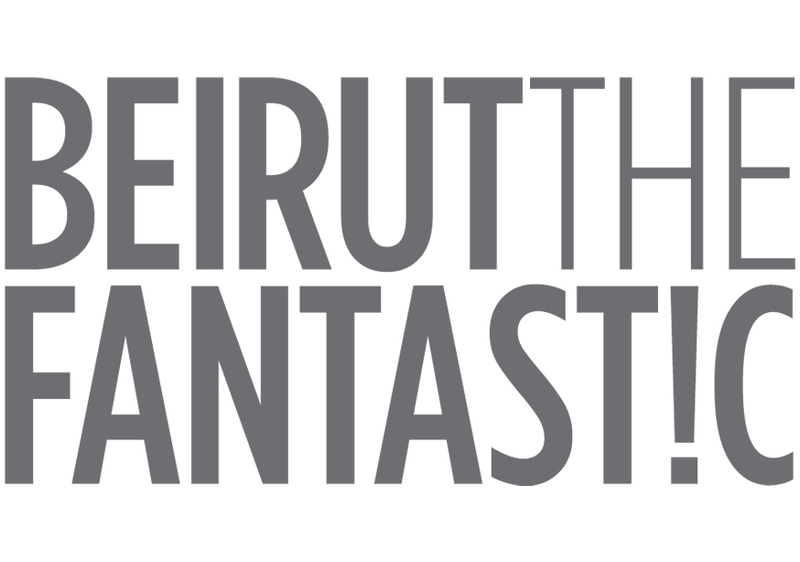 thank you for posting this article; I could have a good deal to say about Beirut's "Grand Theatre". Before doing so, however, I would like to point out something that is a little off topic, but still quite significant. Basically, while Lebanon has a (very old) law that protects (mainly archeological) antiquities, we do not a have a law that protects or defines heritage, as in heritage buildings or monuments. This makes it possible for culturally significant buildings like the National Theatre to be at the mercy of a company like Solidere, because Lebanon lacks the necessary legislation to protect and define a heritage building (there is a list of heritage buildings kept by the Ministry of Culture, but that's something different). If we did have such a law, Solidere could be sued (at least in theory) for clearing away parts of the theatre that it claimed were "insignificant", without giving a valid reason. - It used to be a theatre where serious shows were sometimes put on; shows that had a cultural significance, not just commercial ones; in a sense it is reminiscent of today's arts cinemas. - Like many buildings in the Downtown it means something to a generation of Lebanese. When I say that I am not looking back nostalgically to Lebanon's "belle epoque", but simply to an era in the history of Modern Lebanon which means something to those people who lived it. - You posed the question of why heritage is important to preserve it: Heritage can be important for a variety of reasons, but most importantly because it means something to the people of a country or city. 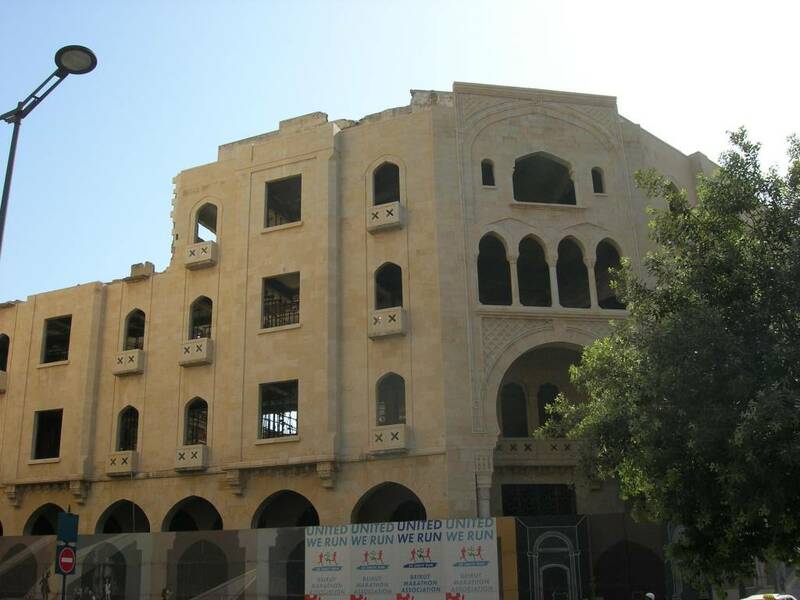 The Grand Theatre means a good deal to us in Lebanon, and especially to the generation of Lebanese who lived the pre war era; therefore, and on that basis, it is definitely worthy of conservation. Nice blog, and this is a great post. The theatre has to be preserved, it´s beautiful. Great post Sandra, thanks so much! If I may respond in part to Anonymous, you bring up some really good points. The biggest problem here is identifying why and for whom you are preserving the heritage of a site, and to whom it has significance. You rightly point out that the theater itself retains a certain ' nostalgic eminence' as well as an important cultural reservoir to those who existed and operated in pre-war Lebanon. 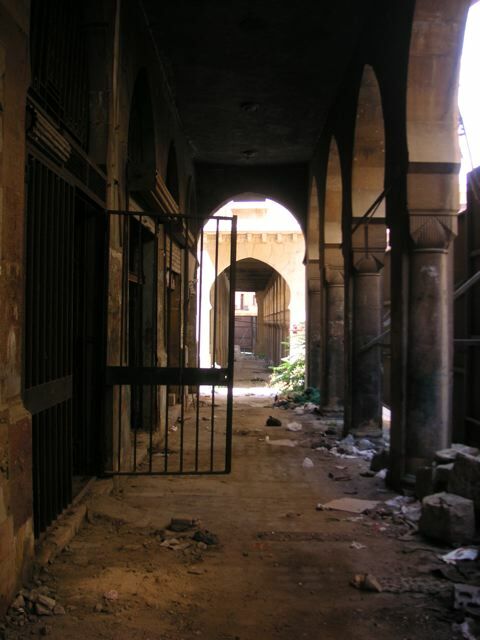 However, there is such a salience between pre and post-war Lebanon and how public and private space is treated (cultural or otherwise) that it is incredibly hard to reconcile the two into a one coherent and mass "national nostalgia" (which will effect how and where 'culture' is derived). As it is, in N. America and Europe, even among my generation (30 and under) there is a connective and nostalgic heritage between what is and what was, even to the 1950s'. The War years were and are so monumental in their implications that with this same generation in Lebanon you find a cultural/heritage dissonance. So then, I would think this brings us to the question of: how do you sell something like the Egg as a piece of cultural heritage to a generation who maintains no connection nor appreciation (of the non-nefarious sort) for such a structure? Or, better yet and to flip this dichotomy, of what importance is a structure that possesses no connection nor appreciation for the cultural heritage of a generation? Tell them that it is indeed important to their past when, for all purposes, they have no connection to this past? It is certainly something to think about. One could say, however, that the lack of such cultural heritage sites are the very reason as to why this disconnect exists. @ Alex, thank you for your comment and sorry for the late reply. It is true that there is a huge gap, if you will, between Lebanon's pre war psyche and its post war psyche, and that's for a number of reasons that I will not go into here. More importantly, perhaps, remember that this is a divided society, and that there is no consensus on the content of its culture and/or identity. For example, the is no single school textbook that teaches the country's history, something badly needed. As for the traumatic events of the war, one reason why there is such a gaping hole in the national psyche is because there has been a concerted effort to enter into a sort of collective amnesia on the subject, with insufficient discussion, no war memorial, no war museum, not truth comission (though that would be hoping too high lol), etc. This approach has been very unhealthy to say the least. Regarding structures like the "egg", many young people were interested in and supported its conservation, and I was one of them (I was not born in the prewar era), though I agree it means more to people who actually knew the pre war days. @ Alex, I can also see the rest of your point. I said that the prime argument for conserving heritage is because it means something tho the people of a place, but heritage can definitely be worth preserving even if it bears no direct relation to those people or their lives. For example, the temples of Baalbeck, built 2,000 years ago, have an incalculable value in terms of architectural and cultural heritage, even if they are totally disconnected from the people who inhabit Baalbeck today. :) And that is without getting started on their economic value as a tourist attraction. The same might be said about Stonehenge, which is prehistoric, and thus holds little relevance to anyone in the UK today, but tells us a good deal about the people who created it. In the end the criteria for conserving heritage is relative and has to be kept flexible, rather than rigid, in my opinion. Thank you for this post. I am a little bit confused as to the relationship between section AA and section BB as seen in the last image of the post. "The building being demolished was in fact across a street from the Grand Theatre, and never had any functional or physical connection to it. It was a 3-storey building built in the 1930s with a concrete-frame construction and cement render facades.."
"The building that is being demolished was never historically part of the Grand Theatre. It sat across the street from it." Secondly, I asked Ms. Napper if Solidere intended to preserve any of the signage or original building materials for possible future display, such as the glass sidewalk, but have not heard anything back from her. I wonder what the protocol is for preserving physical pieces of buildings and how decisions are made in that regard. Some worry that heritage artifacts such as signs, etc. may have been dumped into the landfill and it would be good to get some clarification from Solidere on that.